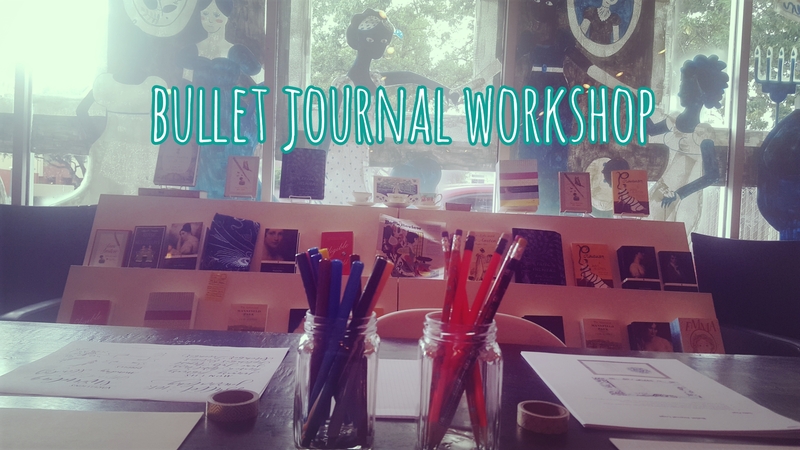 Last week, there was a Bullet Journal workshop. The second one I have attended and it was a lot fun to meet up with people that enjoy stationery/journals/planners as much as I do. These workshops take place in an independent store, Brazos Bookstore. They set up tables, sample paper and pens and other bujo accessories and then you just sit down, listen, socialize and plan out your bujo. They even do raffles and give away free journals so you can get started right away. It’s really generous and a perfect way to get people excited. 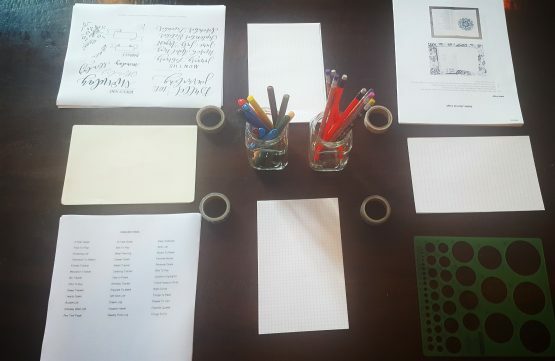 They are still figuring out what exactly is involved in these workshops so it is a work in progress, mostly discussions about different ways you can organize your bujos. However,a lot of the attendees have already started theirs and so it’s a great way to just get inspired. These events also let you test out items they have in the store, pens, paper, stencils, ect. I’m looking forward to the next workshop, and hope to venture out to other workshops as well. I have my eyes on a hand letting one so I’ll keep you updated.